If you're local and want to spend a few hours working for food justice and sustainability (or just enjoy gardening, music, art, and community), consider joining Urban Tilth and a few hundred volunteers at the Richmond Greenway to plant fruit trees, build a market stand, plant spring gardens, rebuild a medicinal garden, and more. Richmond BART station is just a 4 minute walk from the Richmond Greenway @ 16th Street. Ride your bike to the event! 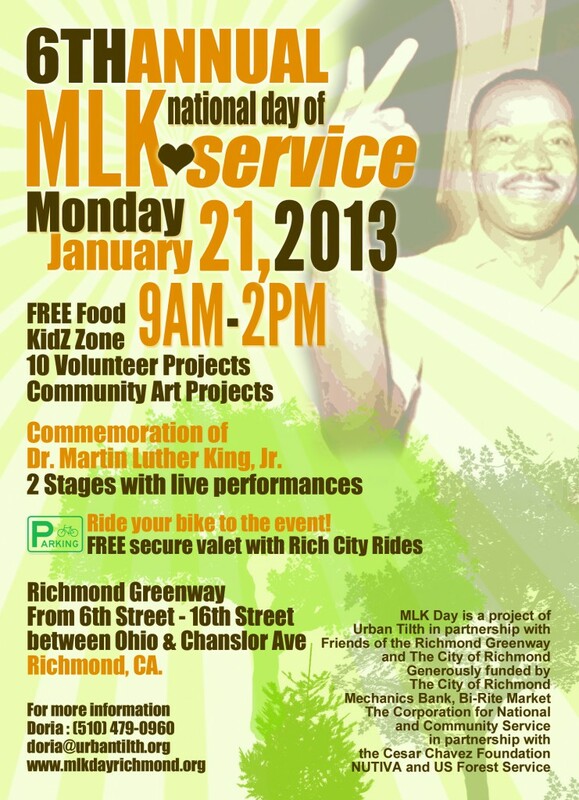 FREE secure Valet and Bike Fix-in with Rich City Rides.